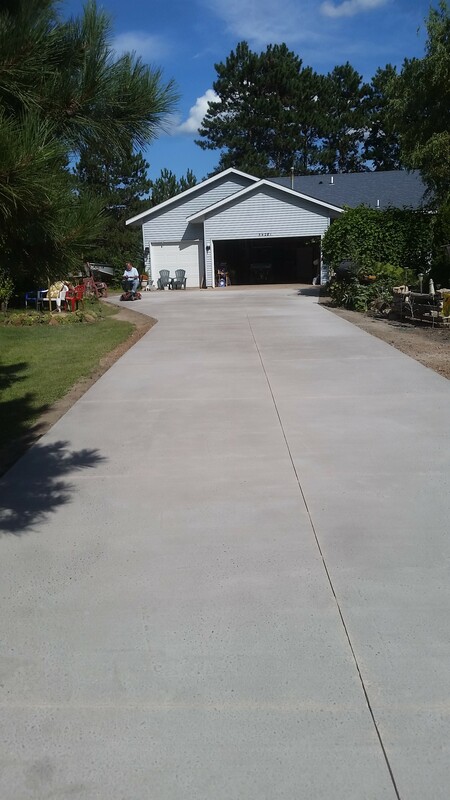 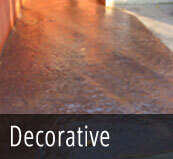 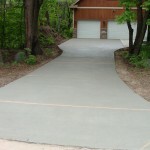 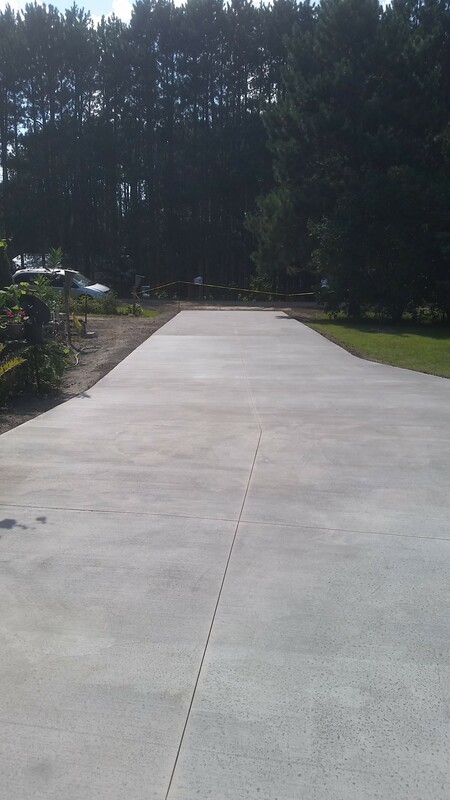 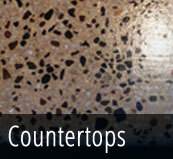 Concrete, being one of the most durable building products out there, makes a great choice for driveways, and aprons. 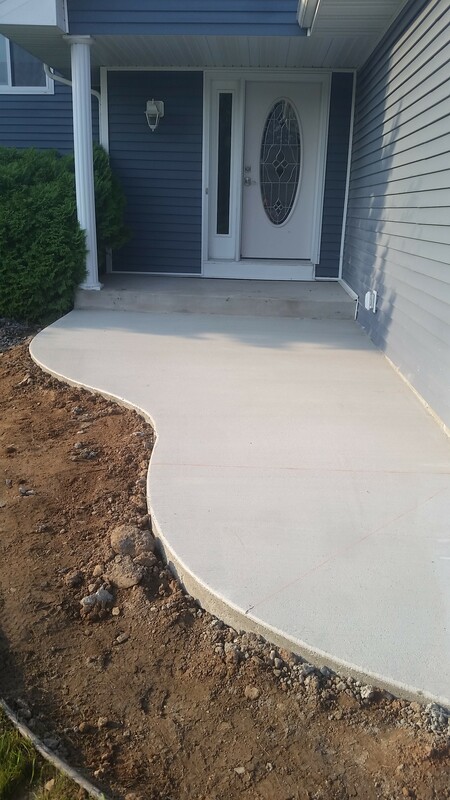 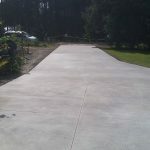 Templin Concrete will form, pour, and finish your concrete driveway with very high standards at a very low cost to you. 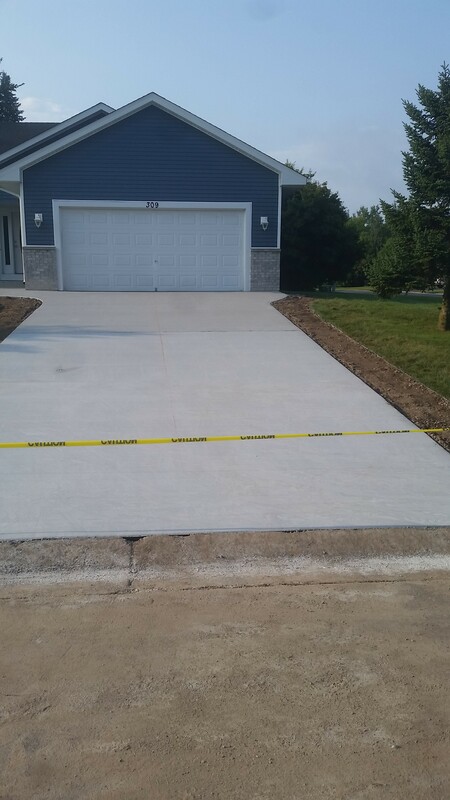 Using high quality concrete, re-enforcement (3/8’’ rebar), and a consistently smooth and compacted base. 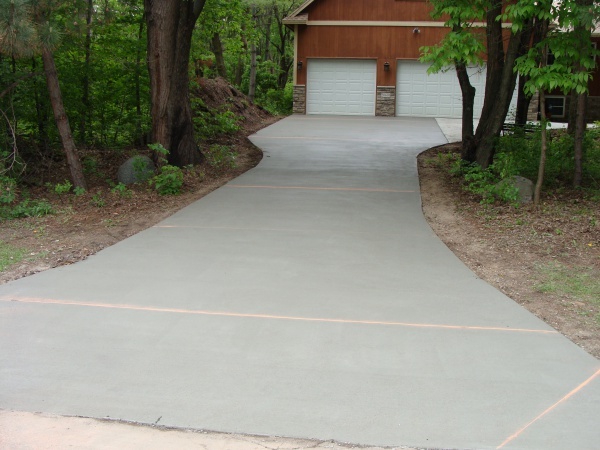 If, you are replacing your driveway, we offer tear out of your existing driveway to make room for the new driveway. 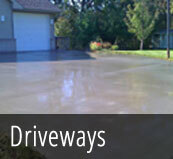 When we tear out a driveway, whether it be concrete or asphalt, disposing is always included in the price. Then, grading for the driveway is the next step. 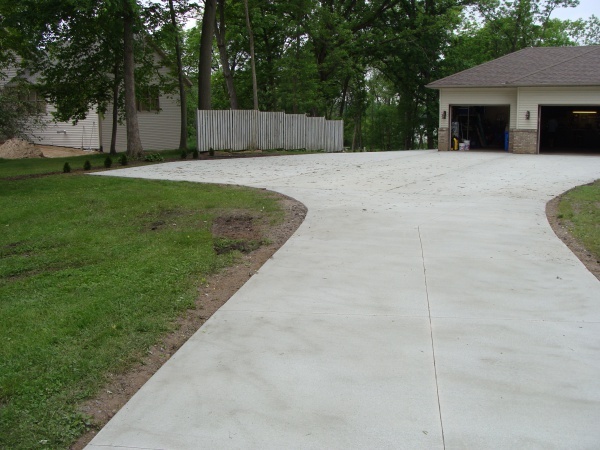 A smooth and consistent well compacted soil is a must that allows for consistent thickness of the concrete. 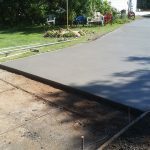 This allows the concrete to be the strongest. 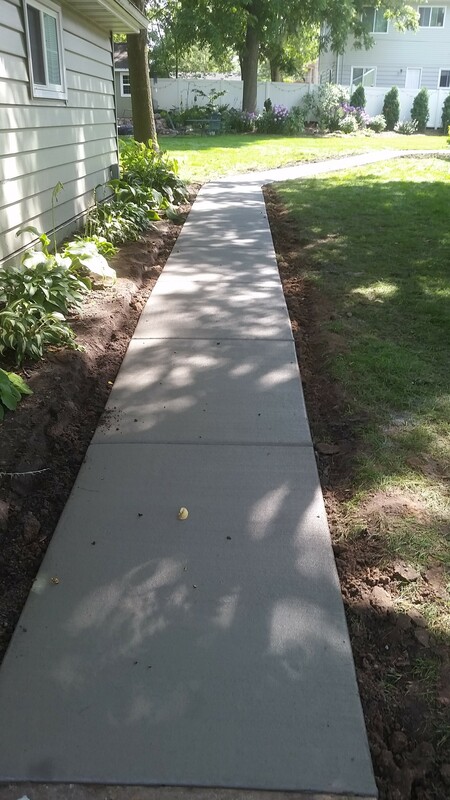 In some areas rebar re-enforced concrete is a must, but in other areas it is up to the customer to decide if they want it or not. 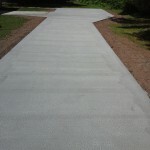 Fiberglass fiber mesh in the concrete is available as well. 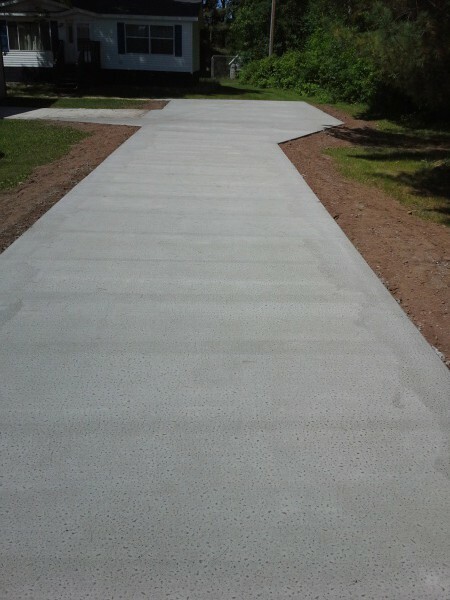 After the concrete is pour a curing agent is applied to help keep the concrete from drying out too fast. 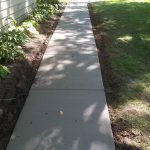 Relief joints are then sawed in. 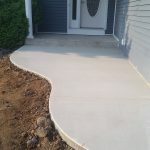 Sealing the concrete with siloxane is highly recommended to protect the concrete from de-icing agents for long life of the concrete. 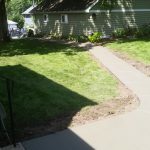 Is your apron or driveway sunk and cracked? 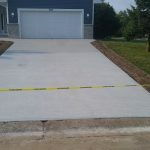 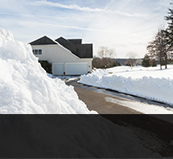 Sunk driveways and aprons are a very common problem due to insufficient compaction right near the garage doors. 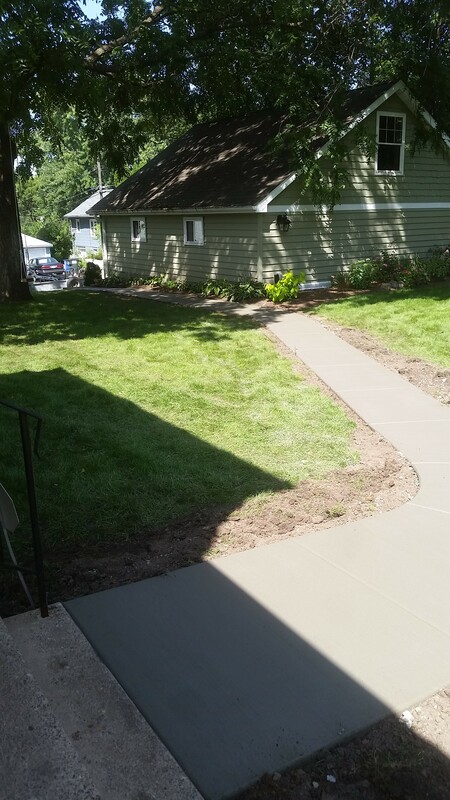 When the ground near the garage doors was excavated out to build the foundation it was not fully compacted. 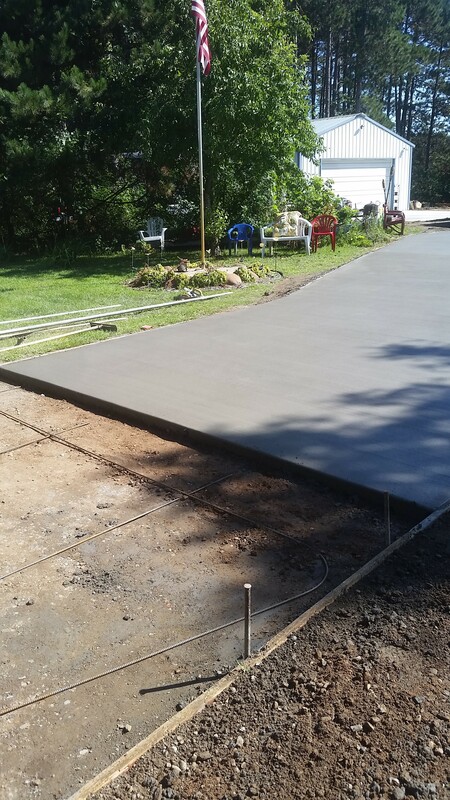 Tearing out the apron in front of the garage, compaction, and then pouring it is a easy and affordable option to fixing the problem. 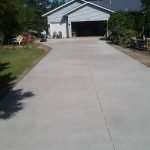 The part that is replaced is usually 3 to 4 feet from the garage doors, the whole length of the garage and can be done at a very affordable price in one day.